Like all first time parents, the birth of our child was the proudest moment of our lives. Wow! You are in awe of their beauty, their innocence and their purity. You can’t get enough peeks while they sleep nor kisses and cuddles when they wake or their first laughter. I still remember it! It’s as clear today as it was ten years ago. I also remember being asked a multitude of times while I was pregnant, “What would you like to have? A boy or a girl?” My response to this question, always, was to have a healthy baby. It was no pretence, it was true. Deep down, this is what we all really want. The turning point for us was Thomas’s first birthday. He had had his twelve month old vaccination, it was ‘flu season and I was seven months pregnant with my second child, Simon. We were living with my parents at the time. It seemed like it happened in a moment. Thomas was unable to put pressure on his foot and cried to be picked up. So we did. He broke out into a fever and lay still for hours. Our decision was to take him to the ‘Children’s’ (being a Saturday night we had no access to our local GP). Stupidly, I gave Thomas a dose of panadol before we left. So, by the tme we arrived he was his usual bubbly, very active self. He was examined and we were told to go home. They could not find anything wrong! Weeks passed by. Thomas had intermittent fevers, a limp and cried throughout the night. He would not settle even when I picked him up. Three or four visits a week to our local GP and his diagnosis was to take him outside where he liked to be (to stop his crying) and for me to check myself into a mother-baby care unit and sort out my mothering skills. His words were “You are a neurotic mother, go and sort yourself out”. By this time, I was convinced that I wasn’t a very good mother. So I went. But, deep down I knew I would see my paediatrician within 24 hours of checking-in (a referral I was refused time and time again). Within five minutes of Thomas’s examination, ultrasound and discussion of his symptoms we were told that Thomas had one of five different types of tumour. Tumour, I thought! Oh yeah, that’s just a growth – it gets cut out and that’s it. I could live with that. Like thousands of families before us and since, twenty four hours later we were ushered into a small room with a couple of doctors and nurses who delivered the news. All I remembered were the stats. “Twenty five per cent chance of getting into remission.” We were going to be that twenty five per cent. No one was going to take that away from us. My baby wasn’t going away! My sister tells of the scene that was played out in the doorway of the ward. She saw our faces crush and crumble as we clutched each other. Our bodies slowing shrinking with the news. It was as if it was in slow motion. We didn’t have to say a word. She knew of the news to come. Two months into treatment I gave birth to my gorgeous Simon who was our saving grace. He lifted all of us. A new and wonderful life for us to celebrate and to share. More importantly, a brother for Thomas to play with. Over an eight month period we were in hospital for treatment and recovery, more often than we were at home. I surrendered Simon to my Mum and Dad who did a wonderful job caring for him in his first six months of life. There were lots of awful experiences for Thomas to endure. Pain and nausea, depression at times, but we all battled on. Cancer is not an illness to be taken on alone. We all held together and pulled each other along through to the final leg which was a stem cell transplant. He got through it! We all did. So who is the little boy in the picture? He’s the face of CIKA and he’s our little boy. He’s our hero. Our precious, gorgeous son. Some things haven’t changed. We are so proud and our hope is still that we will have healthy children for a long time to come. I still can’t get enough peeks while the boys are asleep or kisses and cuddles or those special laughs. I want to remember what they feel like. We all know life is too short, kids grow up and leave our lives for a little or long while. We are lucky. I keep telling my husband and friends that we are lucky. I am a different person for the experience. I know that I am a better person for it and so is my family. It’s important to know that in all the pain we experience in life there is a positive that can come from it. The circumstances and pain never leave us, be we can walk away and say it wasn’t a waste. Good (sometimes only a little) can come from it. Neuroblastoma is a tumour arising from special (sympathetic) nerve cells which run in a chain like fashion up the back of a child’s abdomen and chest and into the skull, following the line of the spinal cord. 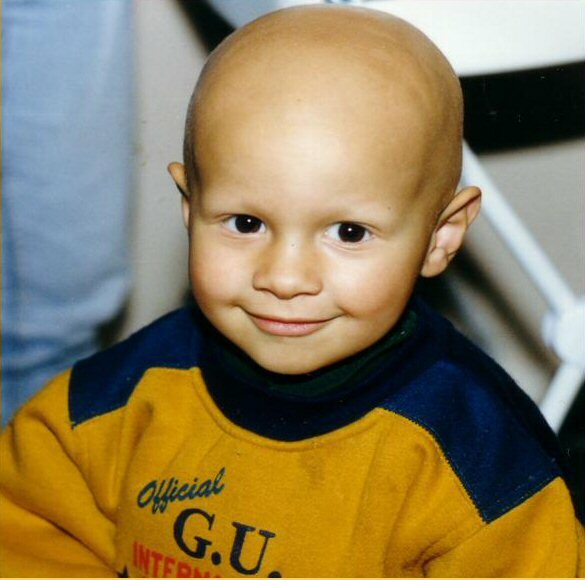 The most common site for a neuroblastoma to grow is in the abdomen. About 50% start in the adrenal gland lying above the kidney but some tumours grow at the back of the chest and occasionally even higher up towards the neck. 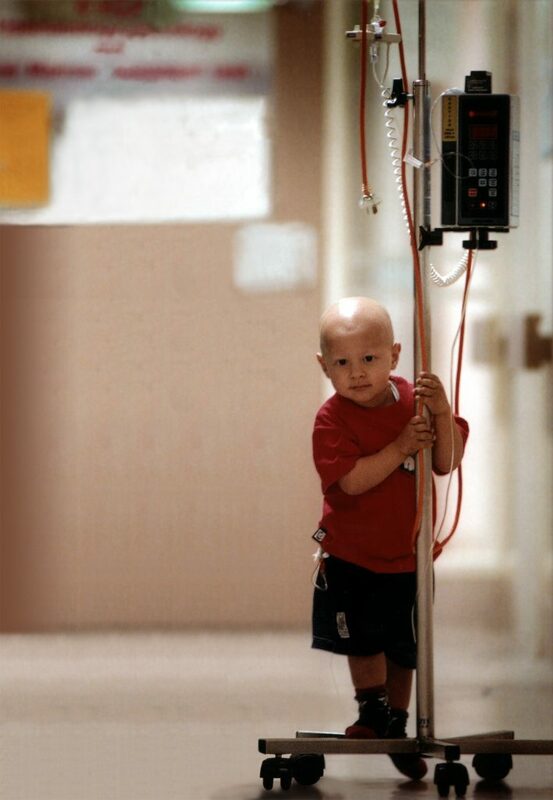 To find out more about neuroblastoma click here to visit the RCH Children’s Cancer Centre website.